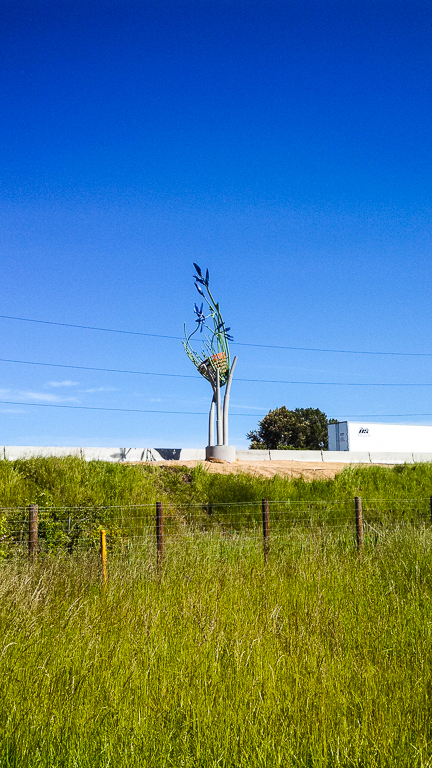 Size : 30’h x 14’w x 10’d. 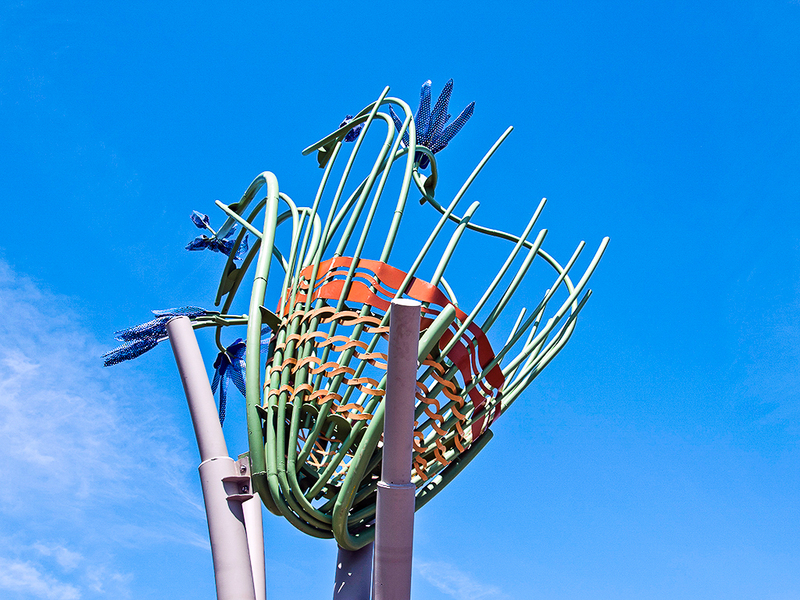 Materials : concrete and painted steel. 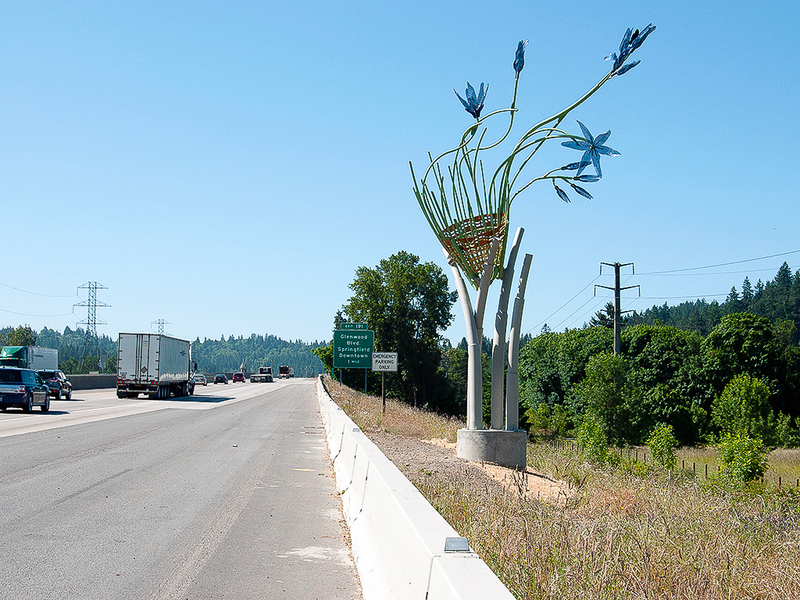 The south side of the new Whilamut Passage Bridge marks the transition between foothill and fertile valley. 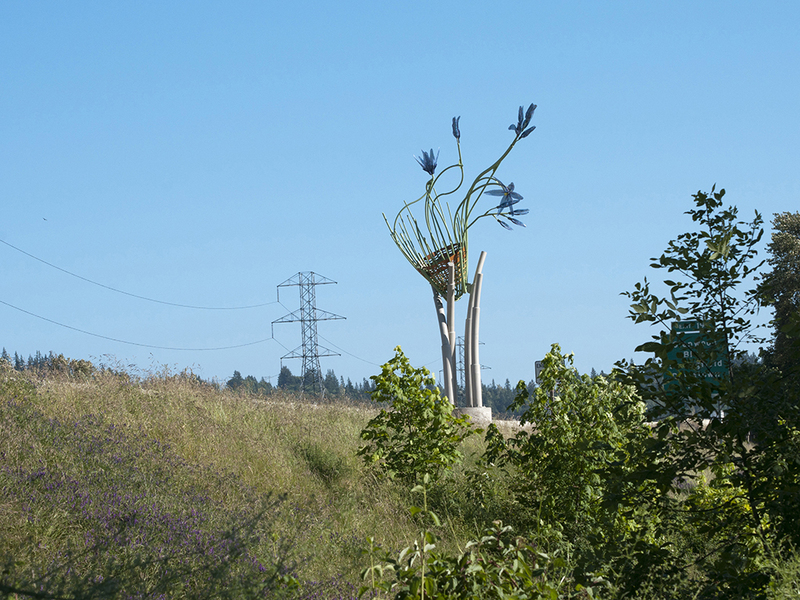 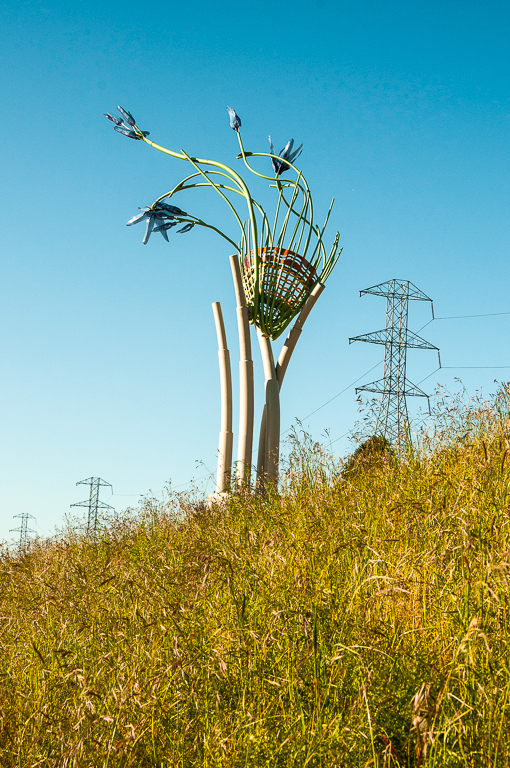 Here, the Camas Basket emerges from grassland next to the interstate highway as an ode to a vital future rooted in history, culture and place. 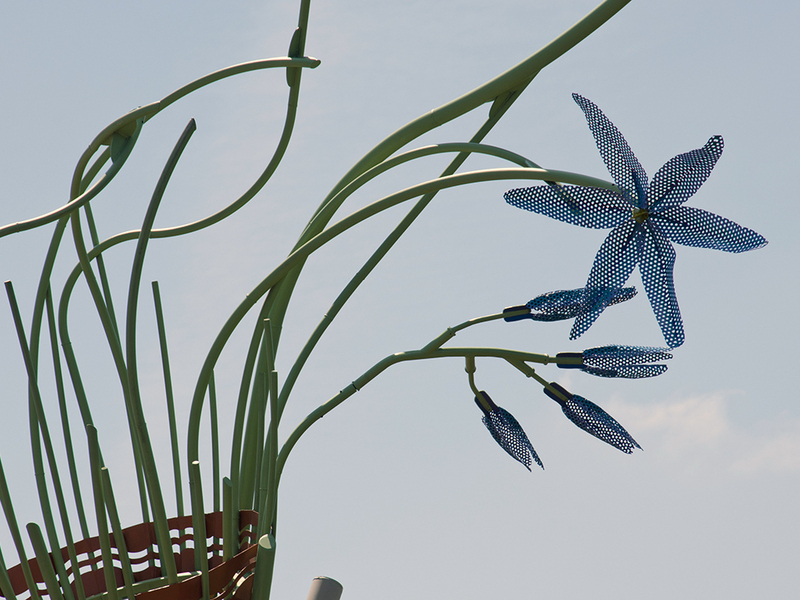 Sprouting from the ground, segmented, reed-like stalks bow to hold a camas basket-in-the-making. 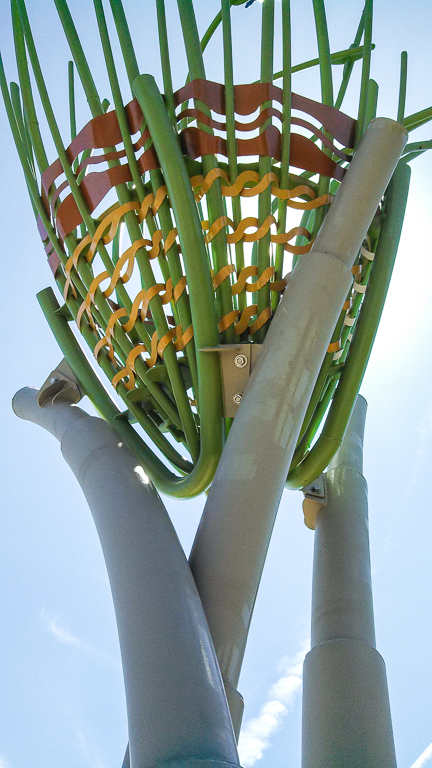 This open and organic structure, borrowing from Kalapuyan basketry techniques, is twined together with ribbons of steel. 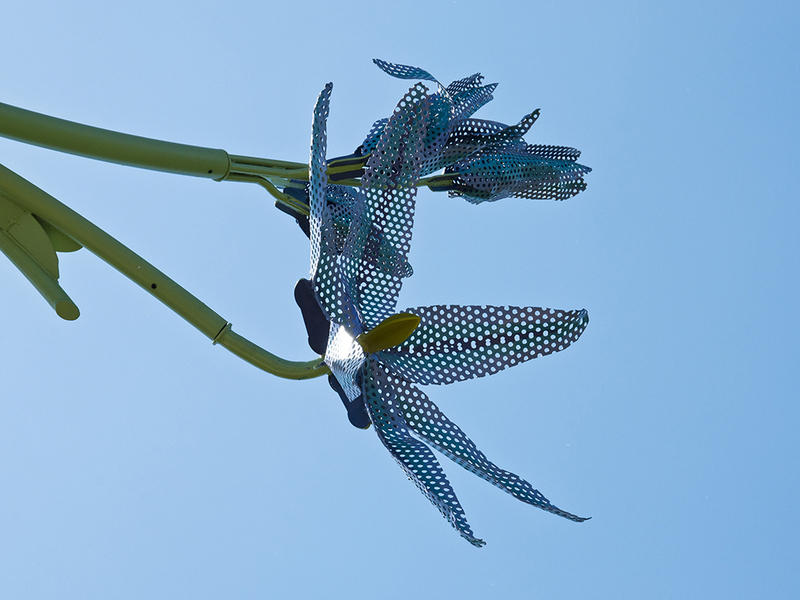 It features a woven, graphic band inspired by the Kalapuyan burden basket at the University of Oregon Museum of Natural and Cultural History. 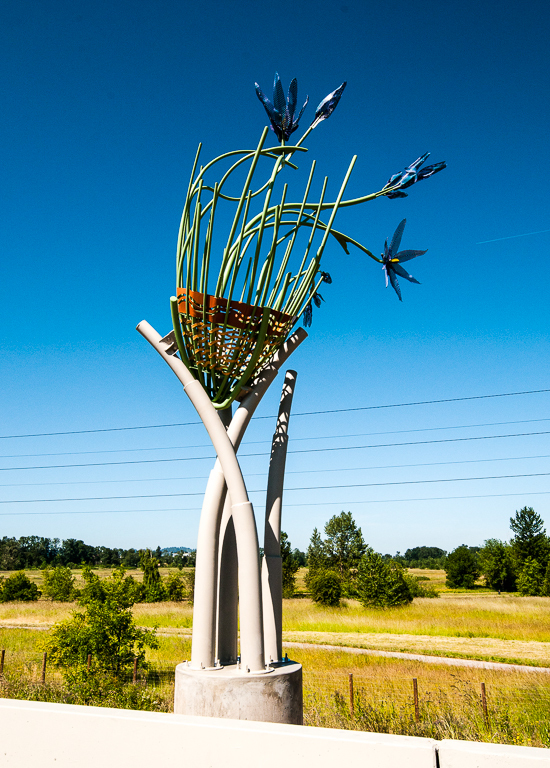 Above, camas stems, capped by saturated blue blossoms, rise from the basket’s outer edge and stretch toward the sun.